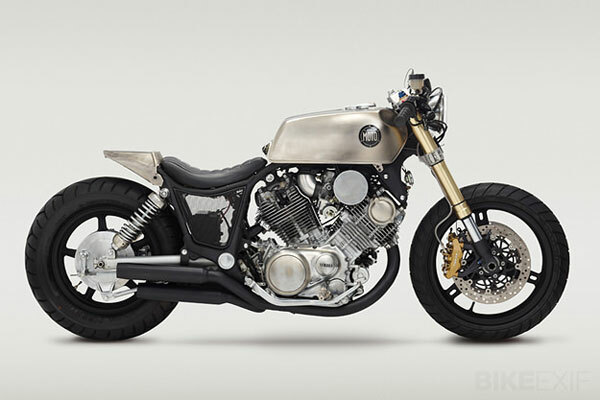 Although Richmond, VA-based Classified Moto is only two years young, but they have 13 bikes on order and their latest release, the Classified Motto XV1100, is based on a Yamaha Virago XV1100. 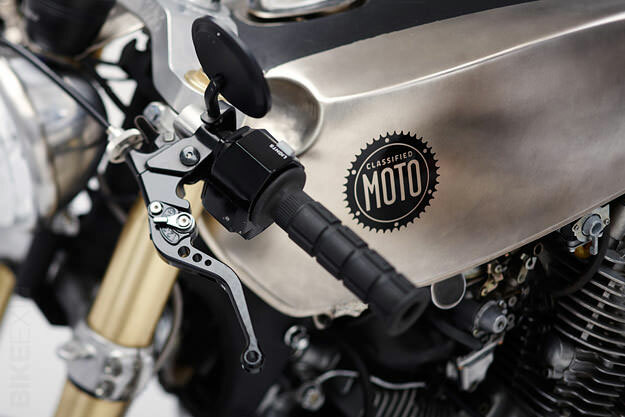 Most notable on the bike are the signature gold forks, taken from a 2004 Suzuki GSX-R1000, hooked up to a CNC-machined custom upper triple clamp. The tank has a tool kit compartment under it and is taken from Yamaha XS400 while leather straps help hold the custom-molded tank in place. 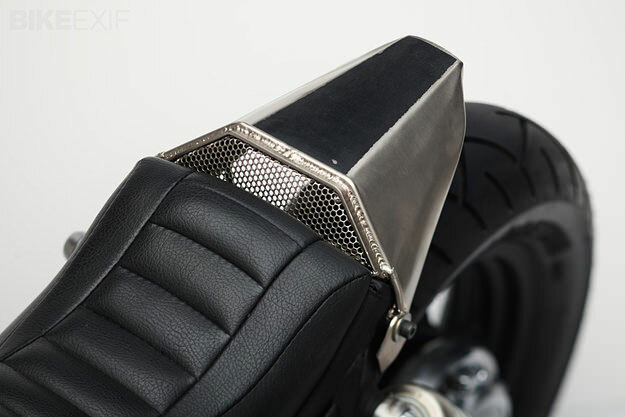 The footpegs are made from transmission shafts, left over from a previous Classified Motto lamp. 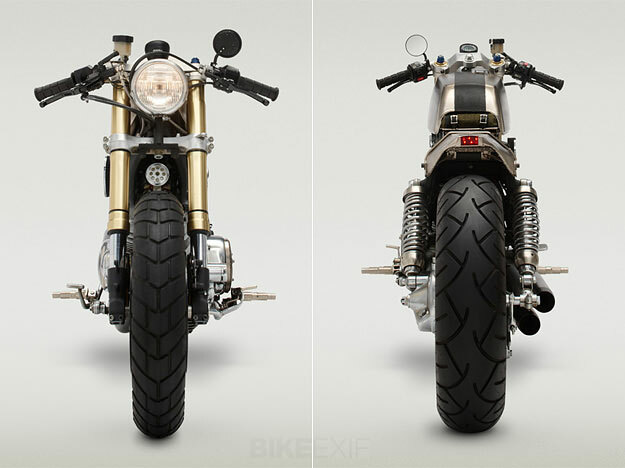 Despite the bike’s aggressive look, it’s said to be a comfortable ride. The Classified Motto XV1100 takes on the true definition of a muscle bike, so get your best road leathers ready, and prepare for speed.